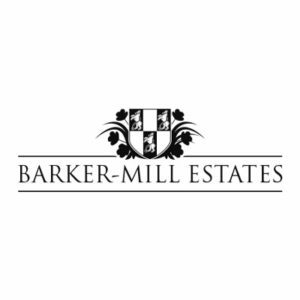 Barker-Mill Estates has been the guardian of 3,000 acres of land in southern Hampshire for more than 500 years. Being in such a unique position inspired the family to establish the charitable Barker-Mill Foundation. Since it was launched in 1995 the Foundation has donated £4 million to local community groups, charities and individuals, and invests in the region through projects that deliver hundreds of much-needed homes, thousands of jobs and major new business opportunities. BECG was challenged to communicate this clearly and effectively to the communities that live on and around the Barker-Mill Estates. Our integrated communications strategy for Barker-Mill Estates has delivered community engagement through tours and newsletters, media outreach, video case studies highlighting the Foundations support, a networking lunch featuring former planning minister, Nick Boles MP and the creation of a strong online presence through websites and social media content. Barker-Mill Estates has engaged with around 10,000 residents and businesses through surveys, newsletters, exhibitions and community tours. They received a highly commended award at the 2013 Housebuilder Awards for the community initiatives BECG helped to run, and results from community newsletters have shown around 85% of people support their work in principle. Public support has been generated from a council leader and three key business groups for one of its schemes and a lot of positive media coverage has been achieved. The Barker-Mill Foundation has also received a significant increase in funding requests as a result of their profile raising. I very much enjoy working with BECG; with them on board it feels less like an agency and more like an extension to my own team. My job is simplified by knowing they are there for whatever communications we need: consultation, PR, digital, and so on – it’s all under one roof. We’ve built and maintained strong relationships with the community and stakeholders, and the outcomes for our projects and campaigns have been excellent.